Done all you can do in Overcooked 2? Don’t despair because more frantic kitchen action is on the way, in the form of a new DLC pack that will allow players to enjoy cooking in the great outdoors. 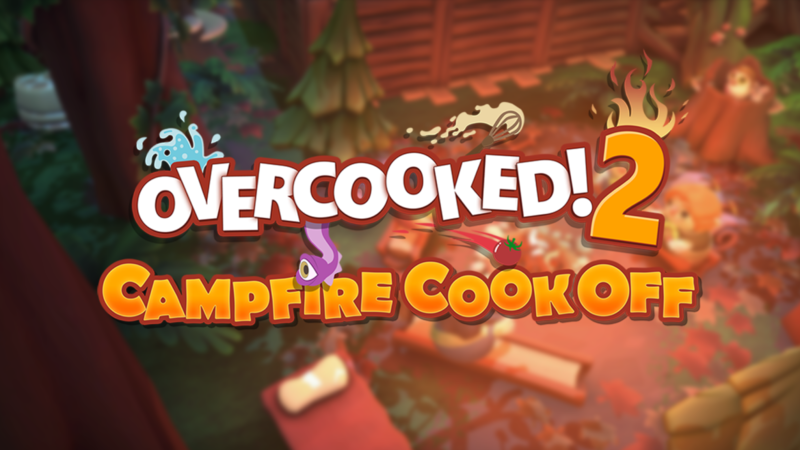 Get your barbecue tongs ready for action when “Campfire Cook Off” releases on April 18th for PC, Switch, Xbox One, and PlayStation 4, at a retail of $5.99. Or, if you don’t want to miss any of the new DLC planned for this year, look out for the new Season Pass which will become available the same day for $19.99, which will include this and 2 TBA content packs. Haven’t played Overcooked 2? Check out this trailer for the game, which is currently available digitally for $25 or physically at most retail stores for $30-$40, depending on the platform. Unfamiliar with the Overcooked series? Check out our review of the original game.